The UK and EU will agree a deal that “constitutes a relatively soft Brexit”, which will pave the way for faster-than-expected interest rate rises from the Bank of England, according to JPMorgan’s Karen Ward. Brexit negotiations so far have been long and drawn out, and that it something Ward, chief market strategist for EMEA at JPMorgan, expects to continue. However, she expects the UK Government to prioritise their wish-list and continue to accept concessions where they find them acceptable. The number one priority for the UK, she says, is to have no border on the island of Ireland. The only way this can become a reality is for the UK to be in a customs arrangement for goods, which will be concession number one. This would mean accepting EU rules and regulations and, potentially, limit our ability to do trade deals with other parts of the world with regards to goods. Services may also be covered in that union, particularly financial services which is most at stake from Brexit. Ward notes that the UK’s financial system has such economies of scale that it would be expensive to see that fragmented. “The UK’s financial ecosystem is very, very large and that provides a lower cost of capital. If parts go to Dublin, Madrid and Paris, that will raise the of capital for European businesses,” she said. One way around that would be for the whole system to migrate to one country, most probably Frankfurt, Germany. But Ward wonders whether Chancellor Angela Merkel, who has run her country’s fiscal policy very conservatively, will want the additional risk of a large financial centre on her balance sheet. “Ultimately, I think financial services will be part of the deal and the Bank of England will reach an agreement with the ECB on some kind of regulatory co-operation,” says Ward. Priority number two for Prime Minister Theresa May will be making sure the UK can control migration post Brexit. May must stick to this to demonstrate to her party that she has delivered Brexit. “Of all the EU’s four freedoms, this is the freedom I think the UK population has really struggled with. The scale, the pace and the speed of migration is what really brought us to this point and I think it would be very hard not to deliver some control of migration,” says Ward. 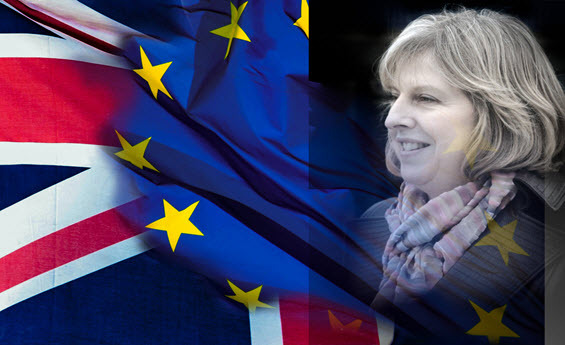 Remaining a member of the single market is not an option for the Prime Minister, Ward adds. Ward thinks the UK will have to accept that there will have to be some form of ongoing contribution to the EU. Of course, if and when May eventually brings this deal back from Brussels, the next stage is to pass it through Parliament and enshrine it into UK law. That may be tricky, as not all members of her party will like the deal. However, adds Ward, any pushback from the Conservatives would lead to political deadlock. “This can be resolved in one of two ways: either another referendum, in which case maybe the UK wouldn’t vote to leave; or alternatively a general election, in which case the Conservatives could lose office. Should this deal come about, the “fog of uncertainty” that is currently depressing business investment and consumer spending would clear. This would lead to a swift return of consumer and business confidence. Combine that with already low unemployment, and “I think the Bank of England are going to have to be hiking rates at a much faster rate than markets currently have priced”, predicts Ward.